The 5 Star Global Gourmet Dining™ offered throughout Sandals’ resorts is a culinary dream transformed into reality. Unmatched by any other all-inclusive resort, this gastronomic programme brings to the table taste bud-tantalising sights, sounds and tastes in the form of authentic international dishes sourced from regions all across the world and delivered directly to you in the Caribbean. With up to an incredible 16 unique restaurants per resort (that’s the highest restaurant-to-guest ratio in the Caribbean) offering as many as 21 unique cuisines, you can indulge all your senses in a wealth of diversity, creativity and quality that has become synonymous with Sandals. Almost every kind of cuisine you can think of is available within each resort, prepared by skilled chefs incredibly passionate about their home cuisine. 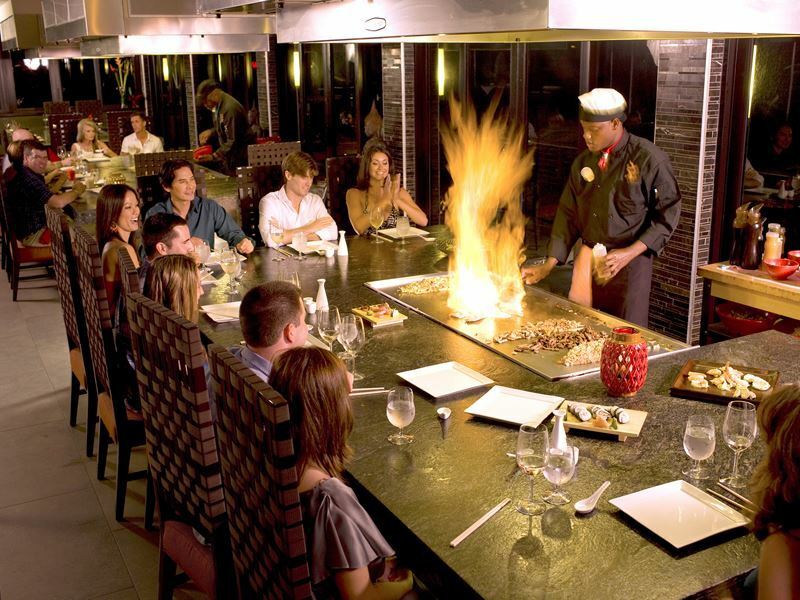 From the ever-popular Mediterranean, Asian, Indian, French, Italian, Caribbean and British cuisines to the more advanced specialties, such as steakhouses, seafood grills, teppanyaki, sushi, tapas and patisserie, no matter how defined your craving is, there’s definitely a restaurant to satisfy it. You won’t find blanket restaurants that offer a little bit of everything at a Sandals resort. 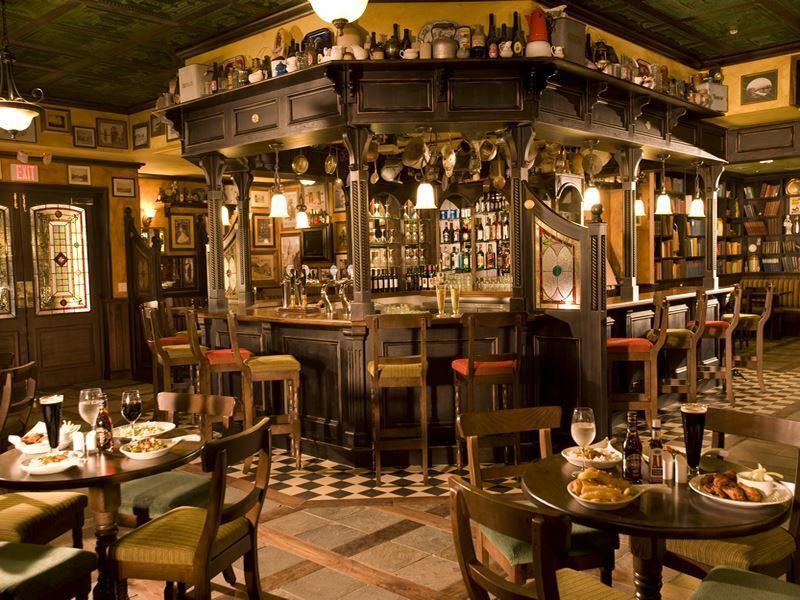 Instead, each restaurant specialises in just one type of cuisine, allowing the chefs to perfect their culinary skills and deliver incredible plates, bursting with all the authentic flavours and cooking techniques each individual region is known for. From delicate ricotta cannelloni from Tuscany, plump mahi-mahi with lemongrass salsa from Asia and perfectly-cooked peppercorn-crusted filet mignon from France to local ackee bacon and callaloo quiche from the Caribbean, spicy tandoori lamb chops from India and classic shepherd’s pie from the UK, Sandals’ restaurants offer such a wealth of variety when it comes to menu items that you could eat your way around the world without ever stepping foot outside your resort. There’s a surprising abundance of variety when it comes to ingredients in the Caribbean, which is why local elements are used whenever possible. Flavourful Blue Mountain Coffee produced in Jamaica, fresh-from-the-sea lobster caught that very day in Caribbean waters and exotic fruits squeezed in front of your very eyes to make the best cocktail you’ve ever tasted; only the finest local ingredients are used at Sandals. But sometimes for a dish to be truly authentic and a genuine representative of its region, you’ve got to fly in selected ingredients from across the world. And to provide guests with an outstanding dining experience with delicious food on par with what they could expect to be served in a gourmet restaurant in the country of origin, Sandals does just this. 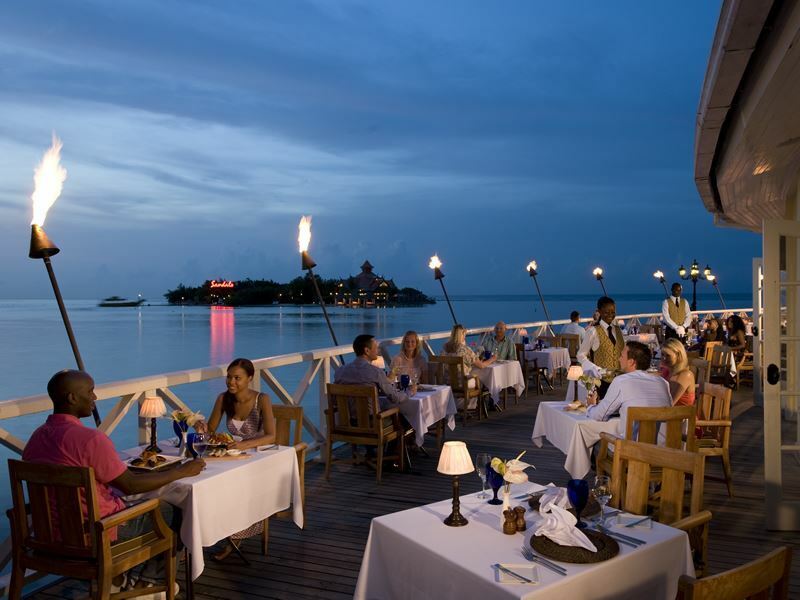 The cuisine at Sandals’ restaurants is so exemplary because there’s a true gastronomic master at the helm. Four-time Emmy® Award Winner and Culinary Ambassador to Sandals Resorts, Chef Walter Staib brings in top quality chefs from around the world and works closely with them to bring the best of their country’s cuisine to Sandals, setting a new standard of speciality dining. The executive chef at each restaurant has years of experience studying and then crafting their specialist cuisine in the country from which it originates. Many have also worked in world-famous restaurants alongside other highly-acclaimed chefs throughout the world and some are multi-award winners. 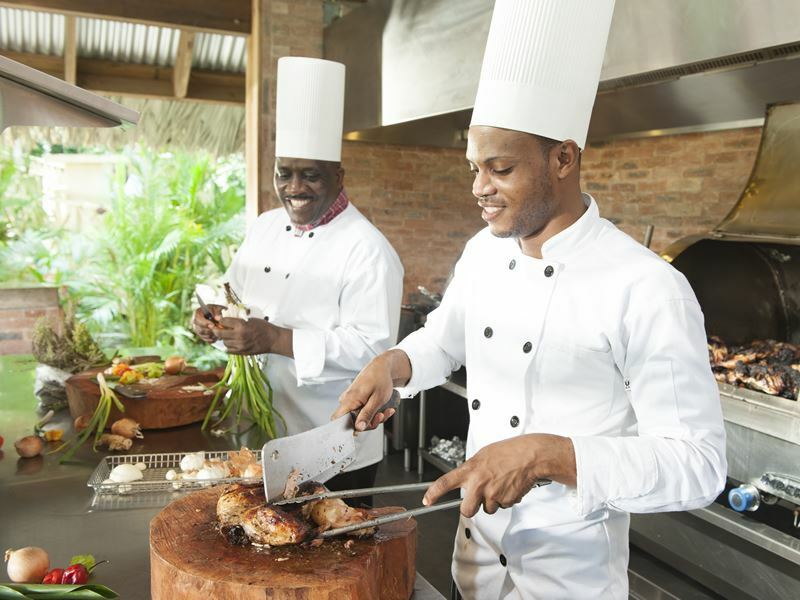 One thing they all have in common is their commitment to providing Sandals guests with exceptional dining experiences through plates of fresh and innovative ingredient-driven cuisine. It’s not just the food at Sandals’ restaurants that’s designed to take your breath away. 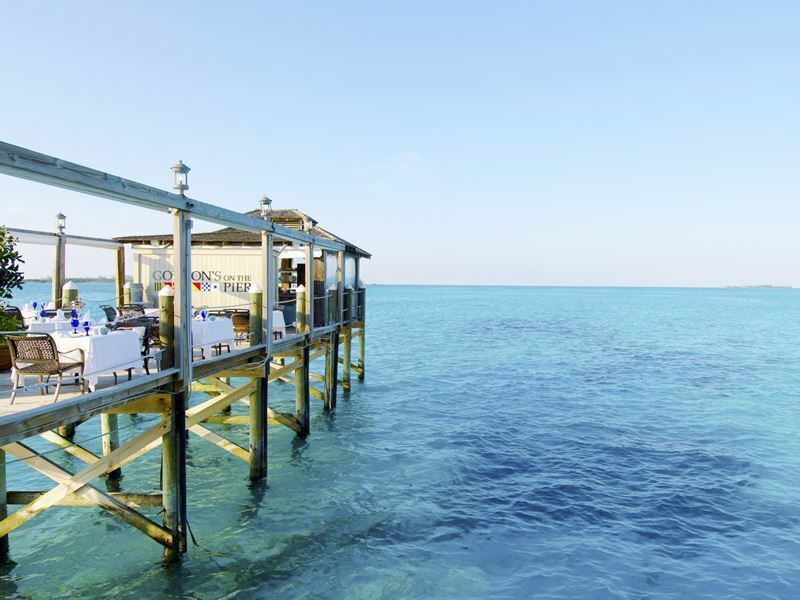 The locations of the dining venues have been thoughtfully planned and restaurants have been carefully designed to ensure you’re surrounded by nature’s beauty and unparalleled views regardless of where you eat. 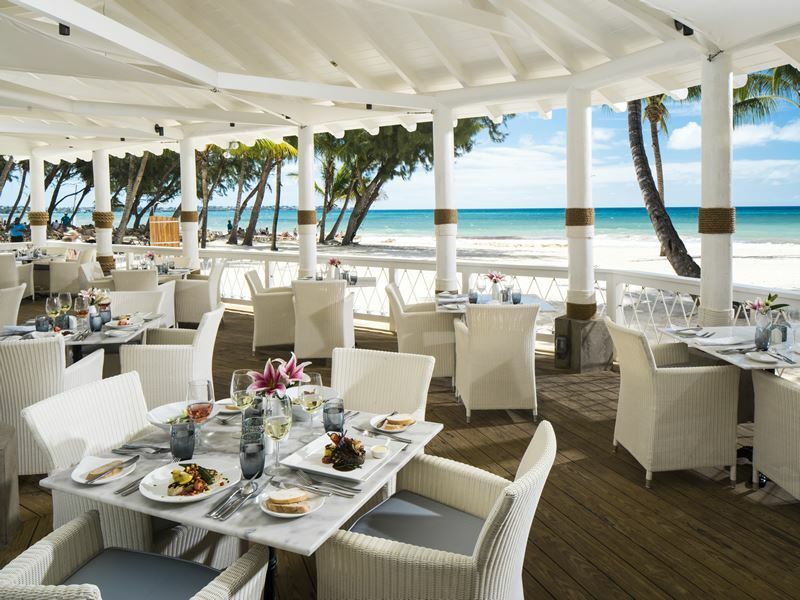 While other resorts cluster restaurants into one location, Sandals elegantly spreads them throughout the resort, creating individual dining hotspots that pepper the seaside garden landscape to provoke a specific ambiance unique to the restaurant or café. Café de Paris, known as the best little café in the Caribbean, is carefully situated in the path of the cool morning breeze which flows throughout the islands. So when you’re sipping on the first coffee of the day on the outside patio surrounded by colourful flowers and shade-giving umbrellas, you can do so while enjoying a breezy respite from the heat. Seafood restaurants, such as Neptunes, are always found close to the water, where you can kick off your shoes under the table, dig your toes into the cool sand and let the fresh scent of the salty sea wash over you as the catch of the day is brought straight to your table, prepared just how you like it. 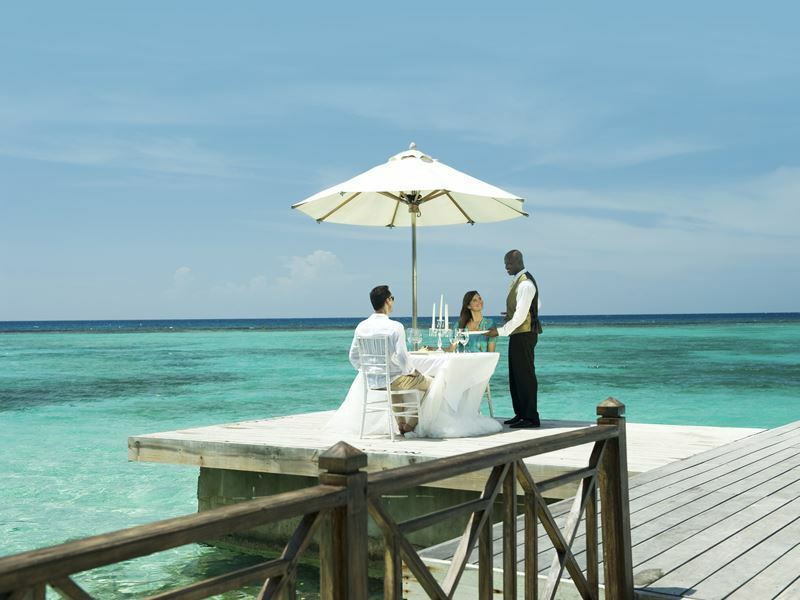 Sandals’ 5 Star Global Gourmet Dining™ isn’t limited to restaurants. Guests staying in Butler Suites can take advantage of the Elite Butler Service and tailor their dining experience to suit the occasion perfectly. If the glorious Caribbean sun feels too good on your skin to move from the beach or pool at lunchtime, you can contact your butler and have him bring your favourite lunch straight to your lounger so you don’t have to move an inch. In the evening, if you’re in the mood for a cosy night in, you can order your meal from any restaurant throughout the resort and enjoy it in the comfort of your own suite or patio. Alternatively, for the ultimate romantic meal, your butler will prepare a candle-lit table for you directly on the beach, on the pier or on an offshore island, so you can enjoy the company of your partner in truly stunning surroundings and with the luxury of complete privacy. 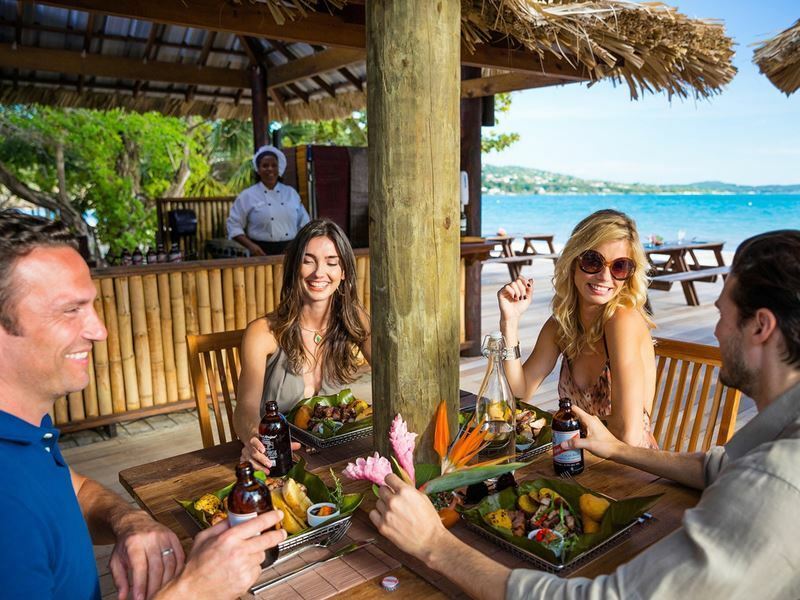 Holidays are not meant to be about following a strict schedule, which is why Sandals promotes dining wherever and whenever you wish - all day, every day, because it's always included and always unlimited. Eat where you want, when you want philosophy encourages you to really embrace unscripted days and nights, allowing you to go with the flow and let your meals drift on for as long as you please. There are no set meal times that must be kept to, so you’re free to make reservations in advance if you know what you’ll be in the mood for later or simply stroll up to your favourite restaurant and see if there’s a table free when you’re ready to eat. If hunger strikes after the main restaurants have closed for the evening, Sandals is there to help you fill the hunger gap. Run by Italian master Neapolitan pizza chef, Marcello Guarini, you can have brick-oven-fresh pizzas, grilled entrées, crisp salads and sweet treats from early morning until the wee hours of the night. It’s the perfect way to satisfy a comfort food craving on your own time with the beautiful Caribbean in the background. It wouldn’t be a Luxury Included® experience if the drinks weren’t part of the package and Sandals certainly raises the bar in this area, with something to please the palates of all guests, from whiskey aficionados to wine lovers. Thanks to an exclusive partnership with Robert Mondavi Winery, Sandals Resorts takes house wines to a new level, all at no extra cost. A decadent selection of six premium wines, chosen for their approachability and food-friendly characteristics, is available, enhancing the already comprehensive selection of wines featured on their Manager’s and Chairman’s lists. Established almost 20 years ago, Robert Mondavi Twin Oaks connects Woodbridge Winery with long-time growers in the Lodi, California wine region. The excellent wines produced and selected for Sandals Resorts are named after the Twin Oaks vineyards, admired for their sustainable agricultural practices which ensure every sip is full of flavour. The decadent selection of six premium Robert Mondavi house wines includes a woody Cabernet Sauvignon, a full-bodied Merlot, a well-balanced Shiraz, a lively Sauvignon Blanc, a crisp Pinot Grigio and a fruity Chardonnay, providing the perfect accompaniment to your gourmet meal, whichever dish you order. 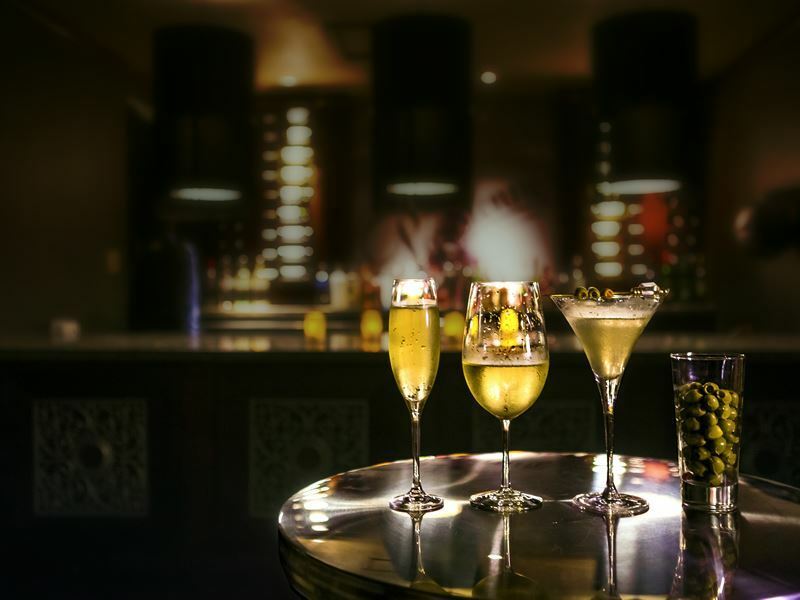 Unlimited premium spirits are also part of the Luxury Included® experience, available 24/7 throughout every resort. From classic cocktails like Mojitos and Pina Coladas expertly mixed by talented bartenders to top branded pours, such as Bombay Sapphire, Johnnie Walker, Appleton Estate and Smirnoff all premium spirits are available.